Halloween is just around the corner! My son is starting to get to the age that he really enjoys stuff like this, so I’m really excited about taking him trick-or-treating. As much as I hate to admit it, the last 4-5 years my husband and I were one of the “lights off” houses. We lived on a street that didn’t get much halloween traffic though, so it was much easier to justify being “that” house. THIS year, however, we’re on a new street in a new home and are guaranteed to be seeing more than a few little ghosts and gobblins out there. Unfortunately, my husband leaves on a business trip the morning of Halloween, so there won’t be anyone to stay and pass out candy while my son is collecting his own. Not only that, we’re also going to be missing a special trick or treat session organized for our local fifth graders. 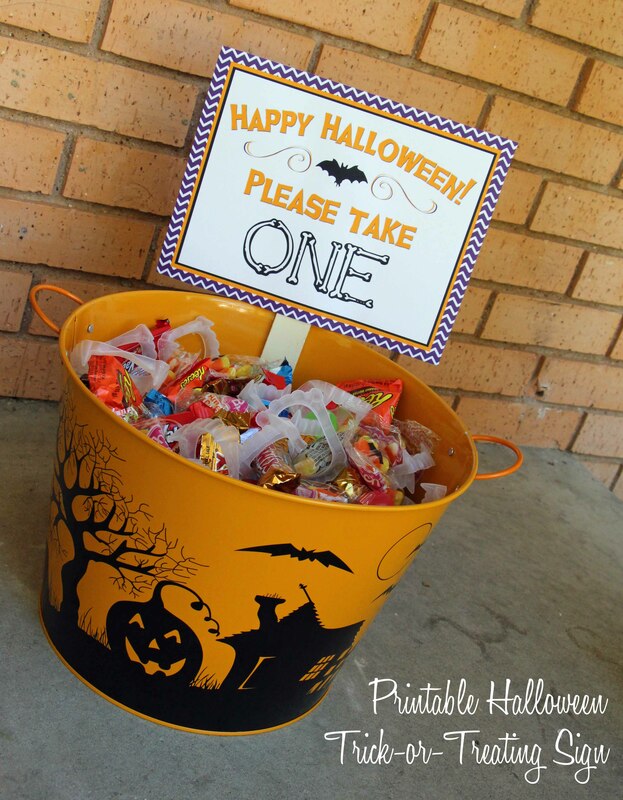 SO, in an effort to redeem ourselves from the past several years, I created a “please take one” sign for our candy bucket that we plan to leave out on the porch! I made two versions of the sign. One orange and black, and another with purple as well. Please feel free to download your own copy here! special thanks to mjranum for the Halloween shape! 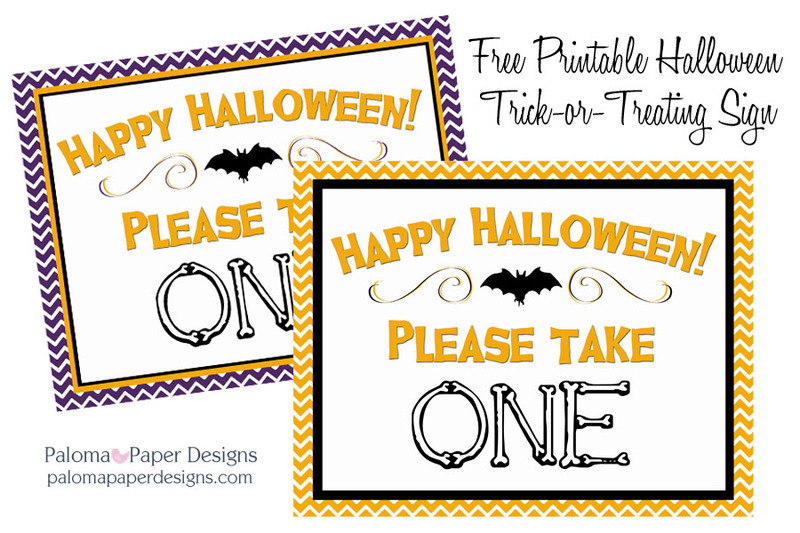 This entry was posted in Free Printables, Holidays and tagged Candy Sign, Free Printable, Halloween, Please Take One, Printable, Safety, Trick or Treat by My Running Leap. Bookmark the permalink. Thanks for the signs, using them this weekend! Thank you for the free printout. It looks great.